Excellent trading advice from Linda Bradford Raschke which makes for a great addition to my Trading Rules. Check them for more trading rules from great traders. 1. Plan your trades. Trade your plan. 2. Keep records of your trading results. 3. Keep a positive attitude, no matter how much you lose. 4. Don’t take the market home. 5. Continually set higher trading goals. 6. Successful traders buy into bad news and sell into good news. 7. Successful traders are not afraid to buy high and sell low. 8. Successful traders have a well-scheduled planned time for studying the markets. 9. Successful traders isolate themselves from the opinions of others. 10. Continually strive for patience, perseverance, determination, and rational action. 11. Limit your losses – use stops! 12. Never cancel a stop loss order after you have placed it! 13. Place the stop at the time you make your trade. 14. Never get into the market because you are anxious because of waiting. 15. Avoid getting in or out of the market too often. 16. Losses make the trader studious – not profits. Take advantage of every loss to improve your knowledge of market action. 17. The most difficult task in speculation is not prediction but self-control. Successful trading is difficult and frustrating. You are the most important element in the equation for success. 18. Always discipline yourself by following a pre-determined set of rules. 19. Remember that a bear market will give back in one month what a bull market has taken three months to build. 20. Don’t ever allow a big winning trade to turn into a loser. Stop yourself out if the market moves against you 20% from your peak profit point. 21. You must have a program, you must know your program, and you must follow your program. 22. Expect and accept losses gracefully. Those who brood over losses always miss the next opportunity, which more than likely will be profitable. 23. Split your profits right down the middle and never risk more than 50% of them again in the market. 24. The key to successful trading is knowing yourself and your stress point. 25. The difference between winners and losers isn’t so much native ability as it is discipline exercised in avoiding mistakes. 26. In trading as in fencing there are the quick and the dead. 27. Speech may be silver but silence is golden. Traders with the golden touch do not talk about their success. 28. Dream big dreams and think tall. Very few people set goals too high. A man becomes what he thinks about all day long. 29. Accept failure as a step towards victory. 30. Have you taken a loss? Forget it quickly. Have you taken a profit? Forget it even quicker! Don’t let ego and greed inhibit clear thinking and hard work. 31. One cannot do anything about yesterday. When one door closes, another door opens. The greater opportunity always lies through the open door. 32. The deepest secret for the trader is to subordinate his will to the will of the market. The market is truth as it reflects all forces that bear upon it. As long as he recognizes this he is safe. When he ignores this, he is lost and doomed. 33. It’s much easier to put on a trade than to take it off. 34. If a market doesn’t do what you think it should do, get out. 35. Beware of large positions that can control your emotions. Don’t be overly aggressive with the market. Treat it gently by allowing your equity to grow steadily rather than in bursts. 36. Never add to a losing position. 37. Beware of trying to pick tops or bottoms. 38. You must believe in yourself and your judgement if you expect to make a living at this game. 39. In a narrow market there is no sense in trying to anticipate what the next big movement is going to be – up or down. 40. A loss never bothers me after I take it. I forget it overnight. But being wrong and not taking the loss – that is what does the damage to the pocket book and to the soul. 41. Never volunteer advice and never brag of your winnings. 42. Of all speculative blunders, there are few greater than selling what shows a profit and keeping what shows a loss. 43. Standing aside is a position. 44. It is better to be more interested in the market’s reaction to new information than in the piece of news itself. 45. If you don’t know who you are, the markets are an expensive place to find out. 46. In the world of money, which is a world shaped by human behavior, nobody has the foggiest notion of what will happen in the future. Mark that word – Nobody! Thus the successful trader does not base moves on what supposedly will happen but reacts instead to what does happen. 47. Except in unusual circumstances, get in the habit of taking your profit too soon. Don’t torment yourself if a trade continues winning without you. Chances are it won’t continue long. If it does, console yourself by thinking of all the times when liquidating early reserved gains that you would have otherwise lost. 48. 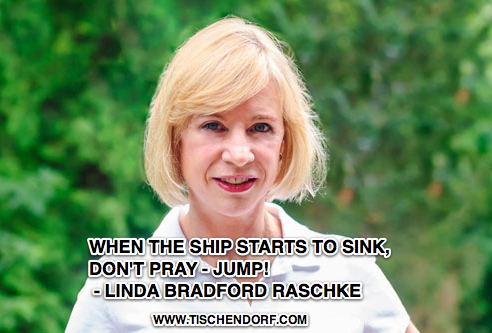 When the ship starts to sink, don’t pray – jump! 49. Lose your opinion – not your money. 50. Assimilate into your very bones a set of trading rules that works for you. With a – Premium Membership – you get a weekly newsletter that highlights big winners early on. Every newsletter comes with a 20-30 min video. Grab a cup of coffee, lean back and find out about the best stocks and new market leaders!